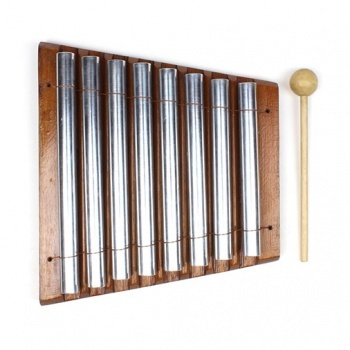 Large carved wooden base with eight solid metal chimes suspended to produce this excellent aura chime. 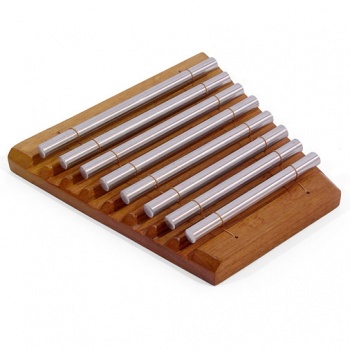 The chime bars are struck with the supplied wooden beater to produce a loud and resonant selection of tones primarily used in sound therapy and space clearing. The clear and calming nature of the sound is also useful for meditation excercises.